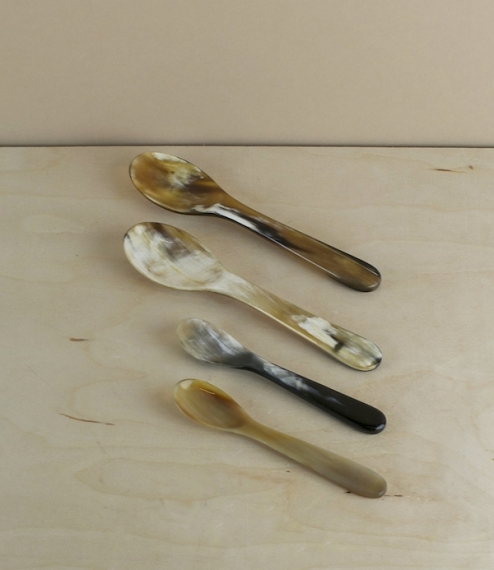 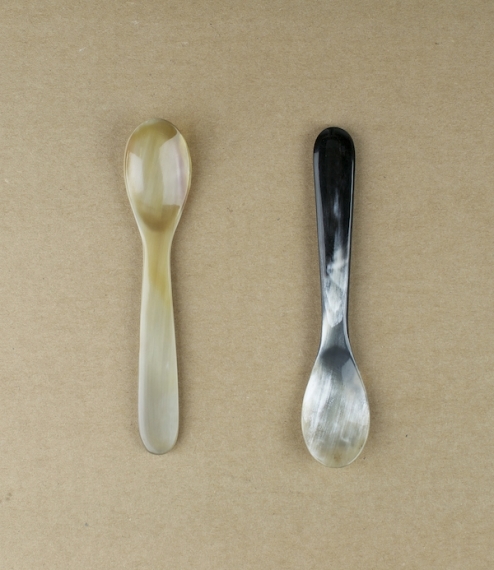 Natural ox-horn egg or baby spoons hand cut, formed, and polished in Carnforth, at the last remaining horn-works in Britain. 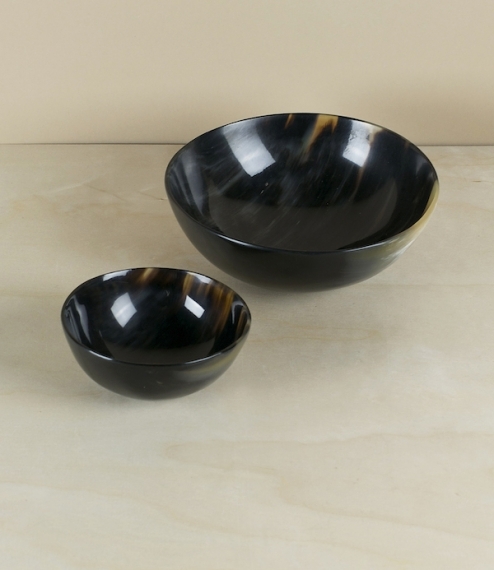 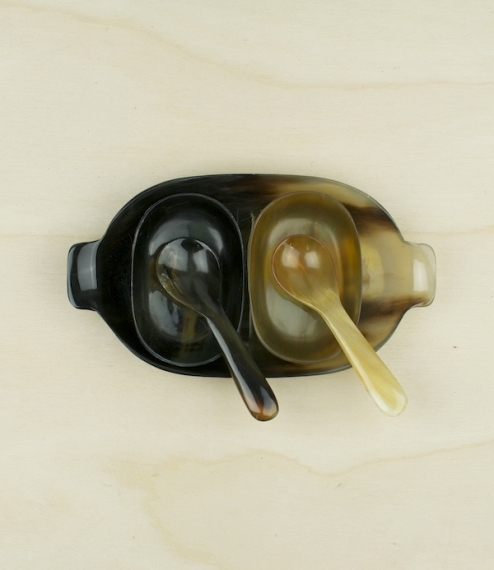 The colours range from white, to translucent amber, through all the shades to black in natural tortoise-shell variations. 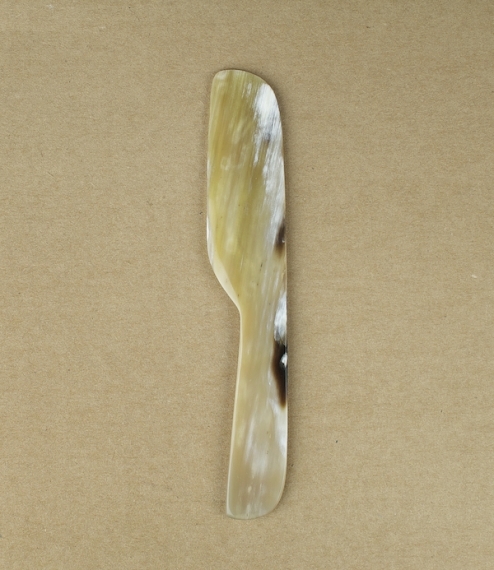 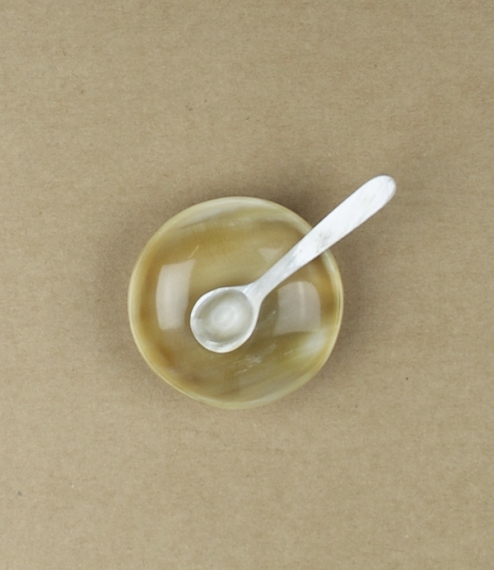 Horn will not tarnish or taint food stuffs, hence its traditional use in the serving of eggs and acid preserves which would quickly discolour old silver or carbon steel cutlery, but characteristics which are still useful today for serving these or especially for babies when lightness and shatter resistance might be desired. 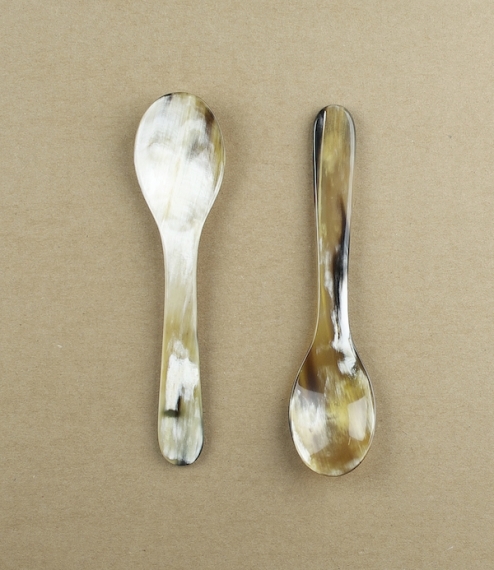 The length is approximately 115mm, and the second image is of these (the smaller) along side our 'horn spoons' by way of comparison. 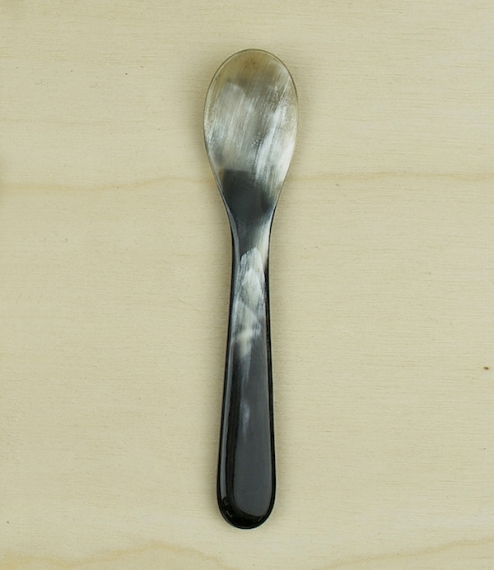 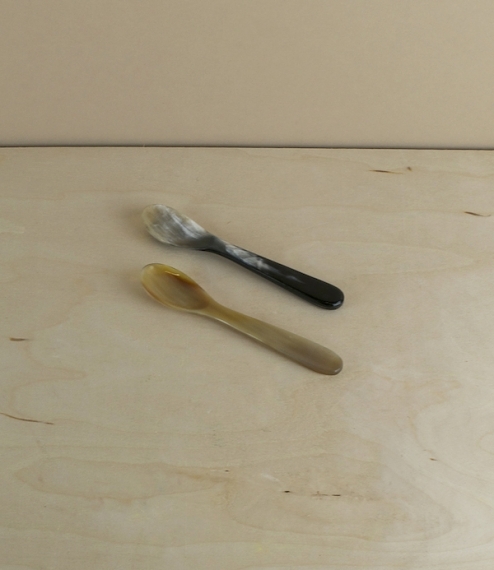 Price per single spoon.